In my previous article, we covered the basics of primeng UI library. 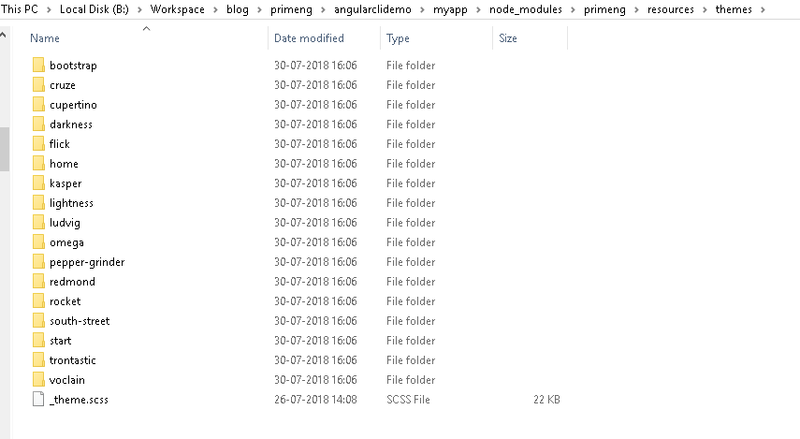 In this article, we are going to learn how to set up an angular project with primeng using angular cli. Learn Angular4/5/6 with primeng components. This shows angular cli is installed with the latest angular 6 version. Next step is to create an Angular project with CLI tool. A lot of components required to angular animations module to have better experience. Animation modules are located in @angular/animations module. You need to install this dependency. This commands creates development bundle, build and deploy with starting the web server. This builds bundle for the production code. For production code, debug disabled, static resources minification etc. Hope you liked my article, Please like and share on facebook/twitter. I tryied to do as you show, but some things i dont understand, please if you can share the samples, will be a great help. Yet another primeng tutorial that doesn't work. 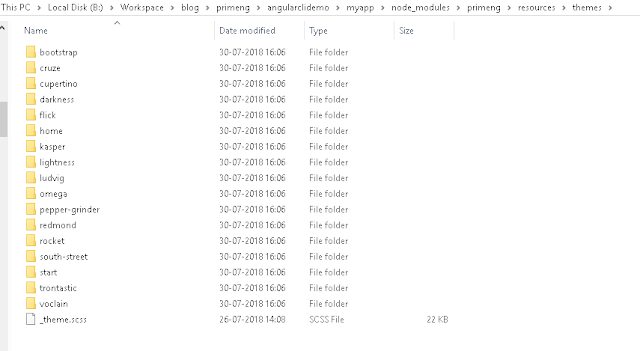 There is no primeng.component.ts file and no PrimengModule.And oh by the way, there is no primeng.module.ts file either. In the name of all that is holy, have someone else test the procedure and keep it up to date, or remove it. I'm tired of wasting my time setting up example projects only to hit a dead end.